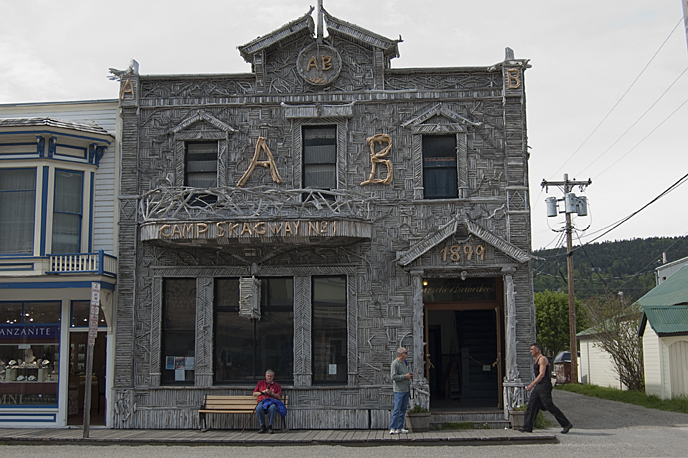 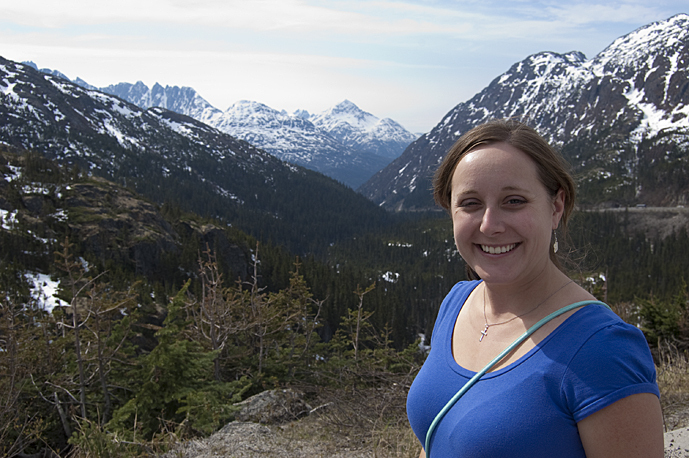 Our last stop in Alaska on our cruise was Skagway. 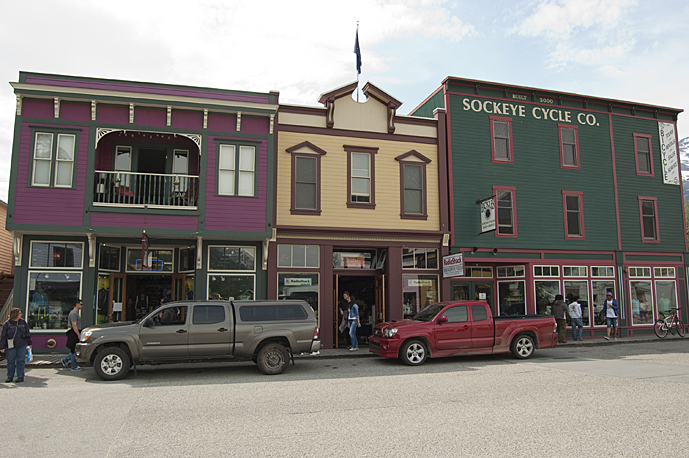 It’s a tiny little blip of a town with just a couple of streets and more of the same style of tourist shops. 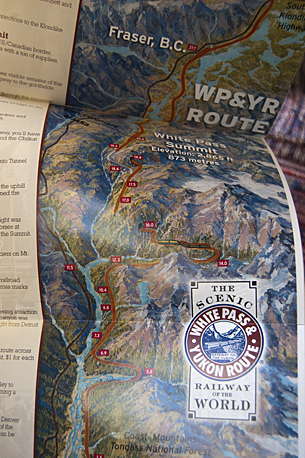 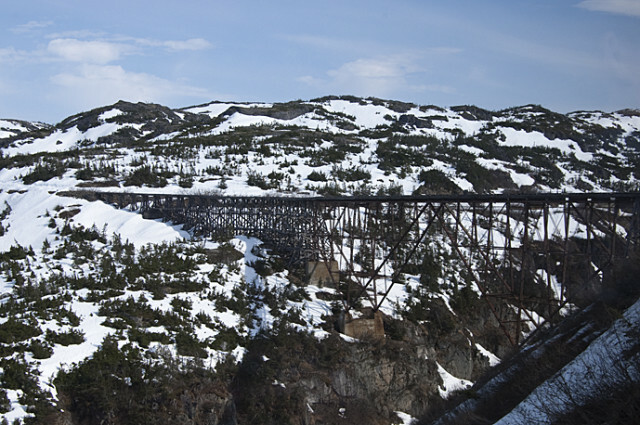 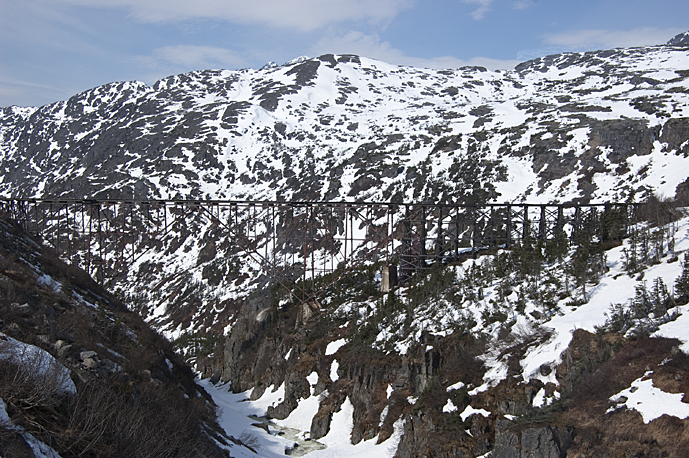 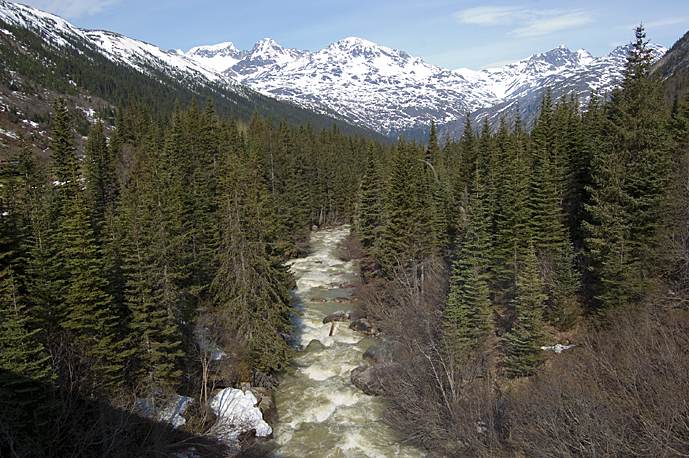 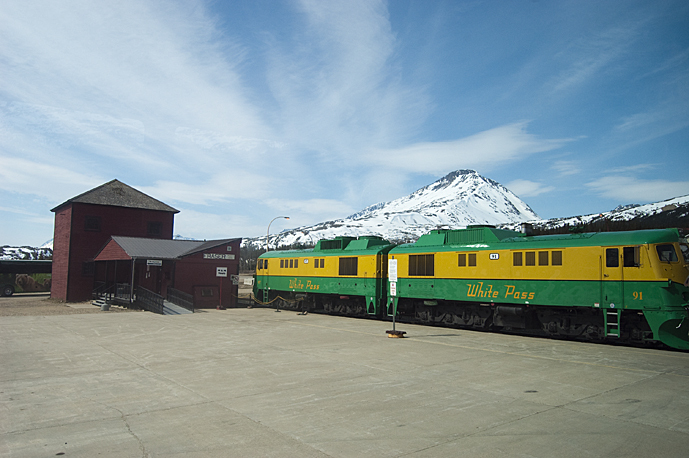 The real feature of this town is the start of the White Pass Railroad, an incredible feat of engineering that built a way into the Yukon gold territory so that the multitude of gold diggers wouldn’t have to cross the mountain passes on foot or with their poor ragged horses and mules that died by the thousand on the way over the passes. 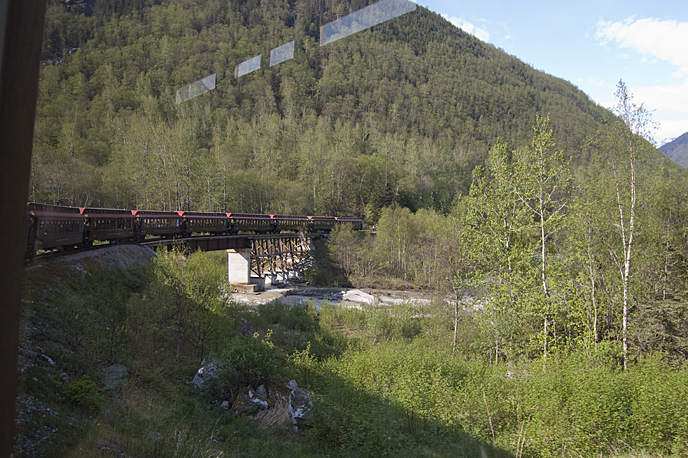 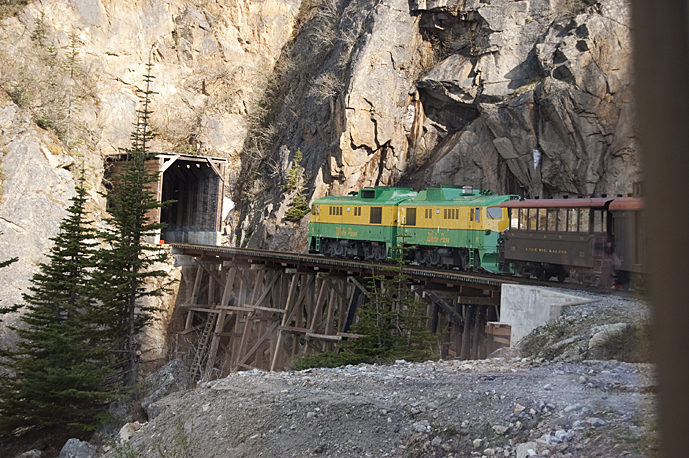 The railroad passes a lot of gorgeous scenery, goes through tunnels in the mountains, and over many bridges. 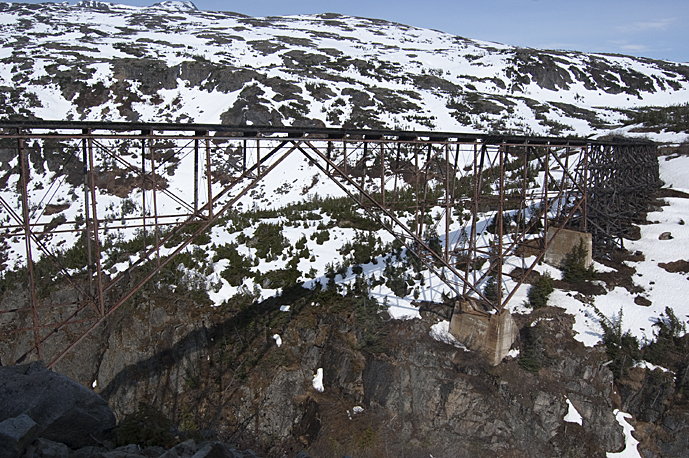 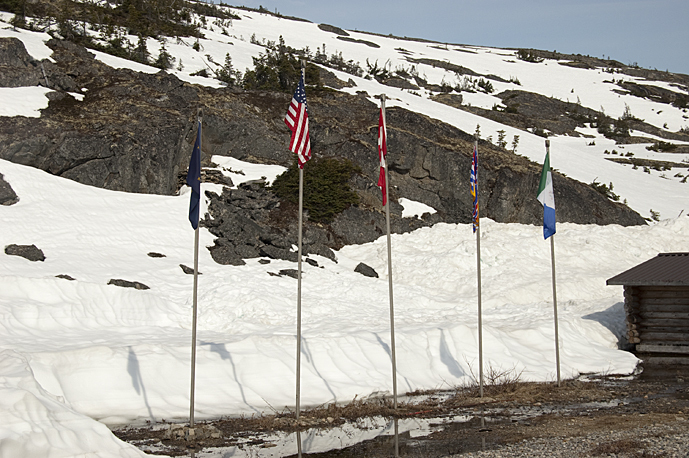 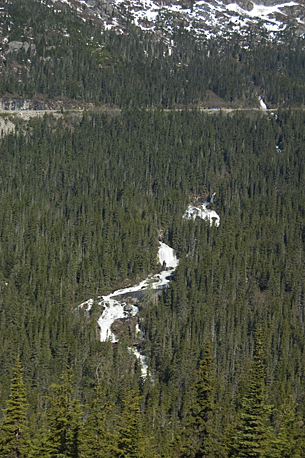 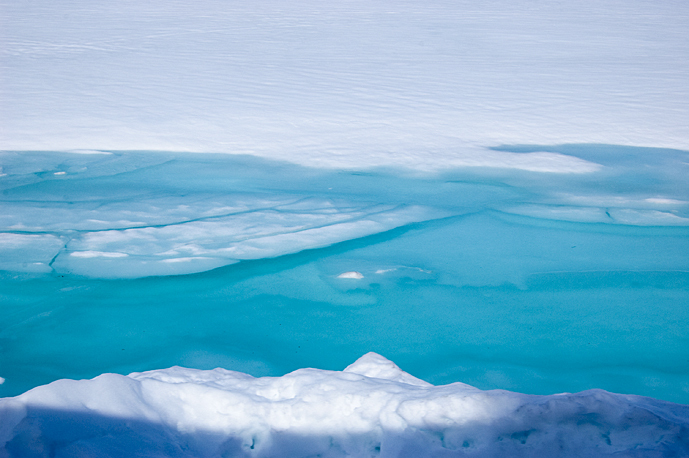 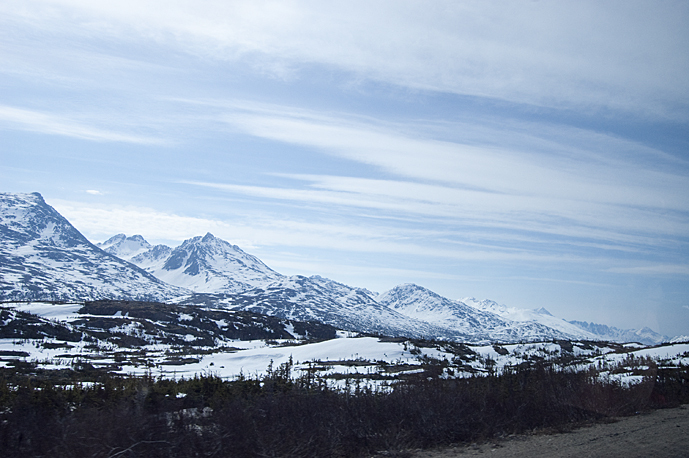 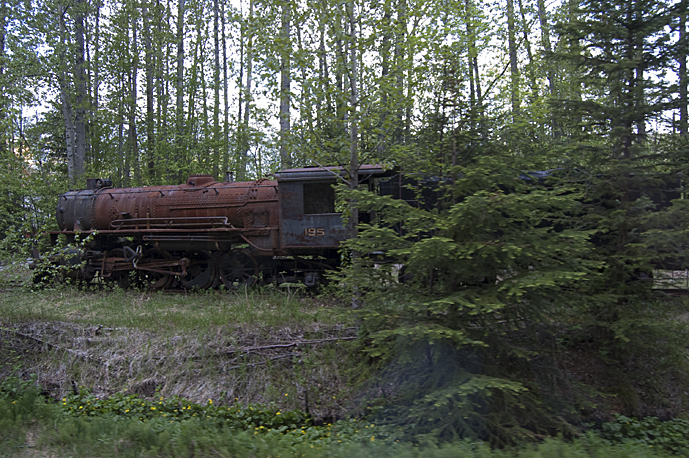 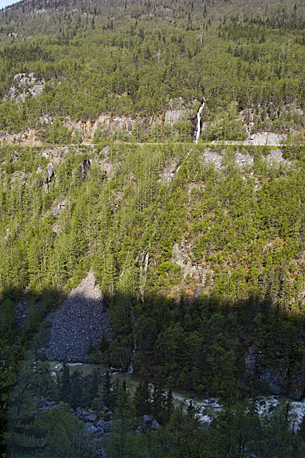 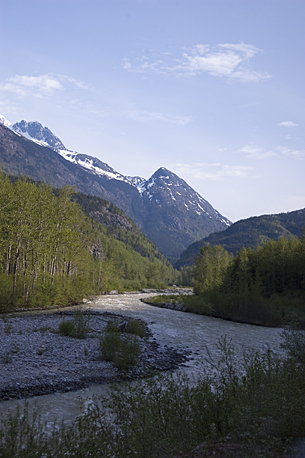 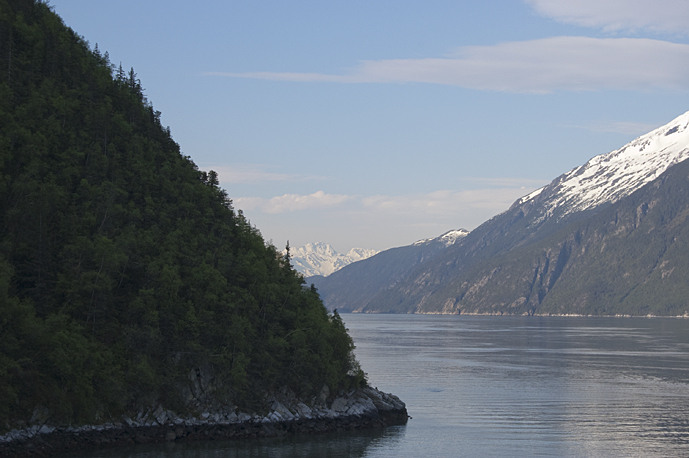 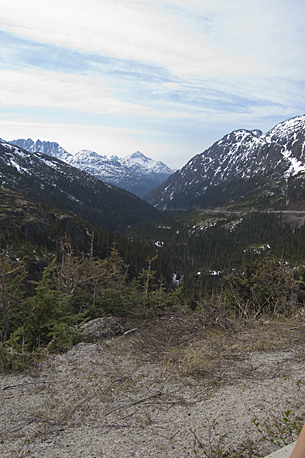 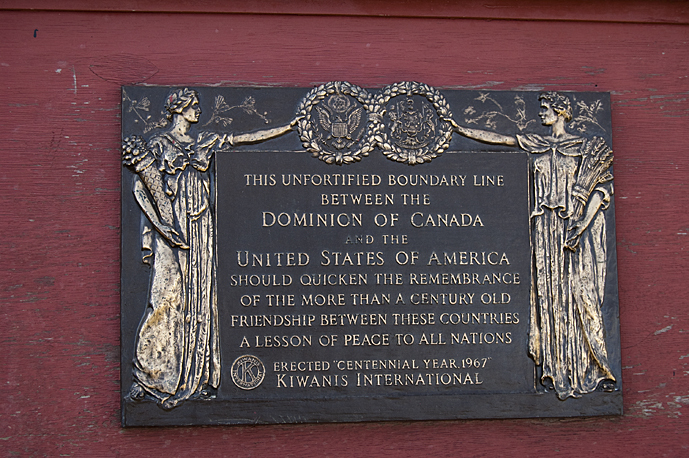 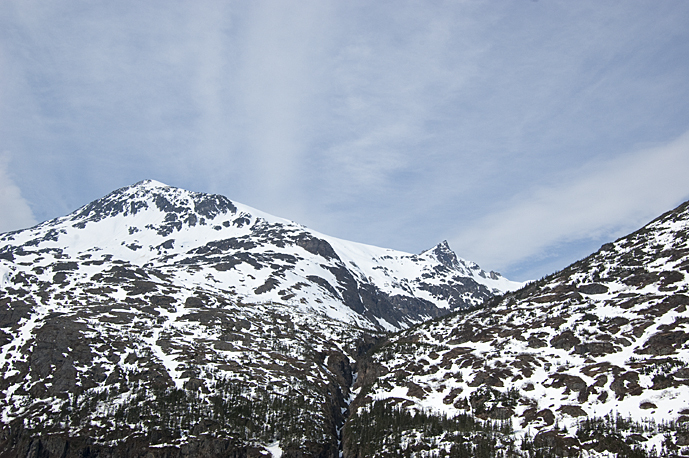 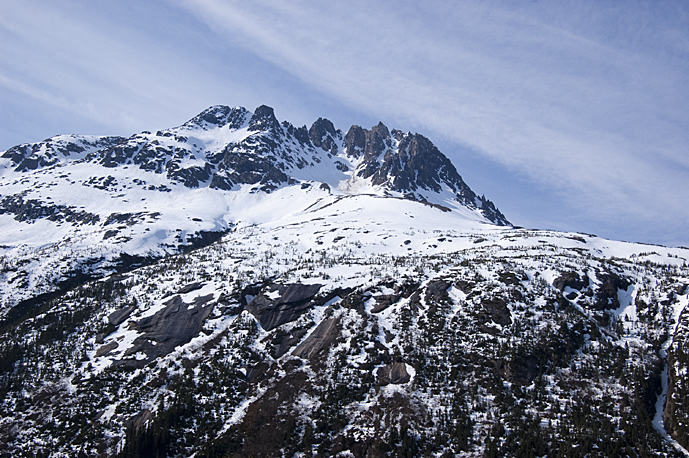 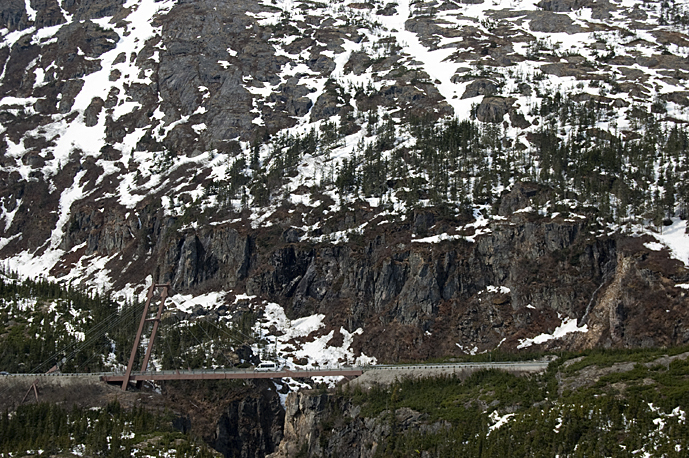 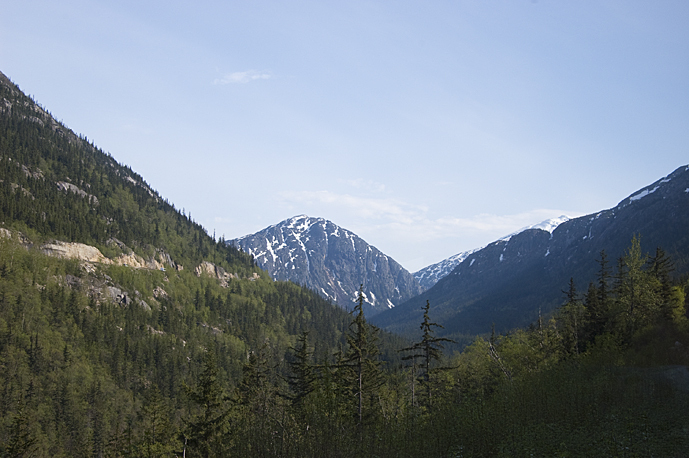 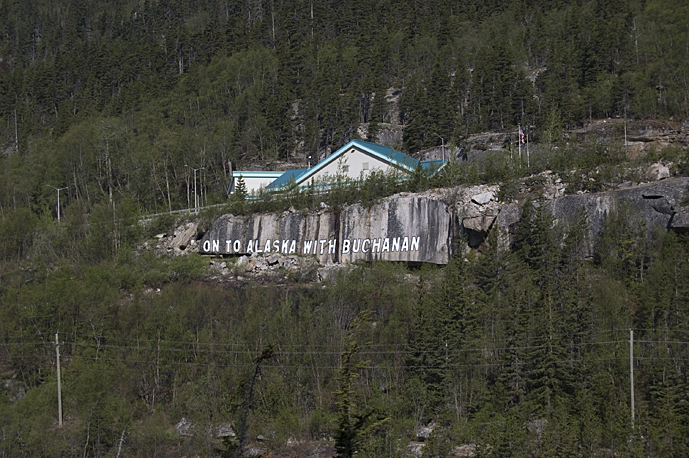 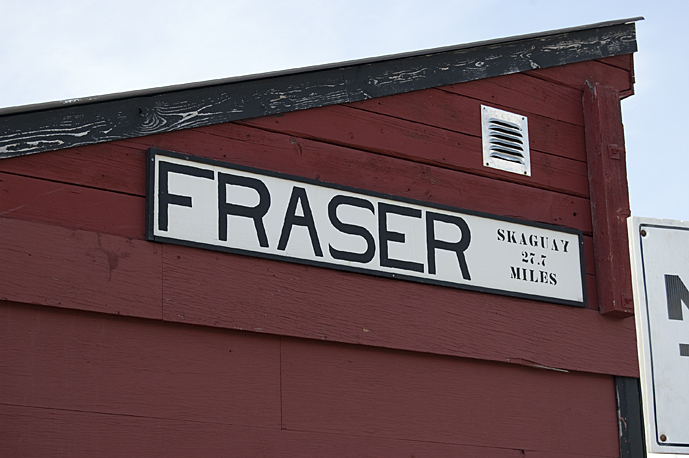 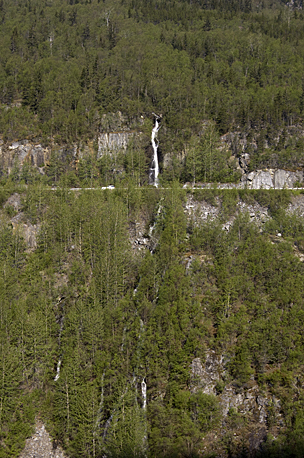 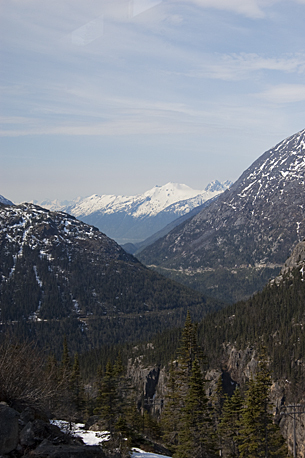 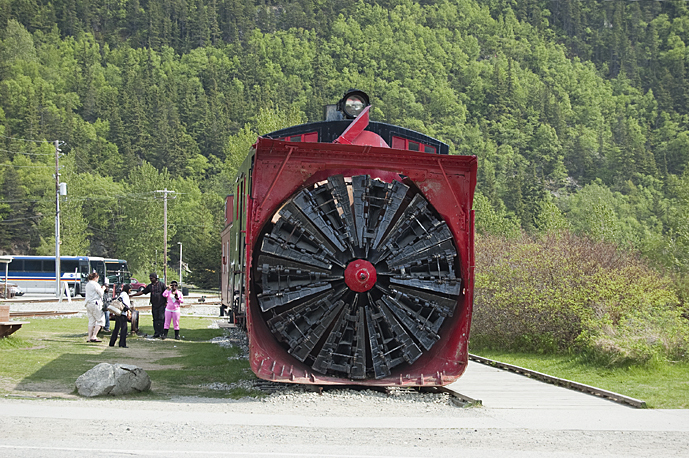 It goes all the way from Skagway to Whitehorse. 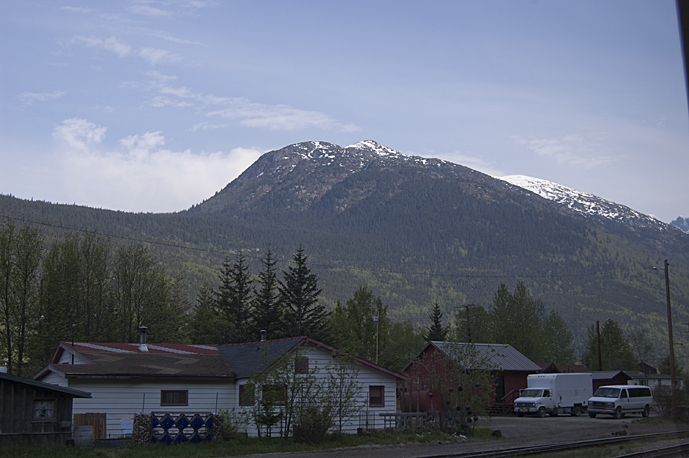 Josh and I rode on it up to Fraser, BC. 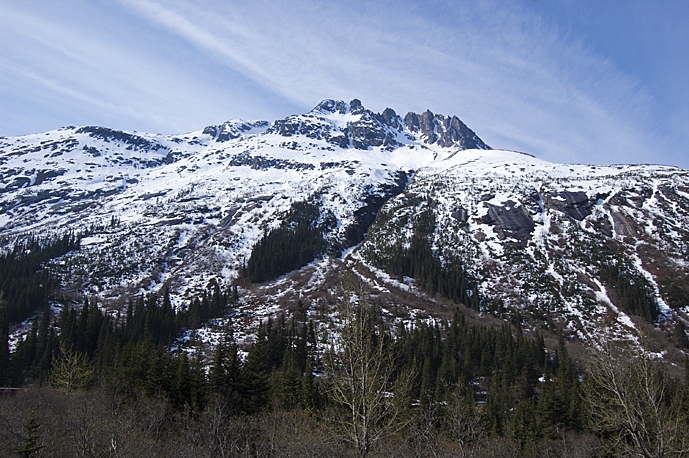 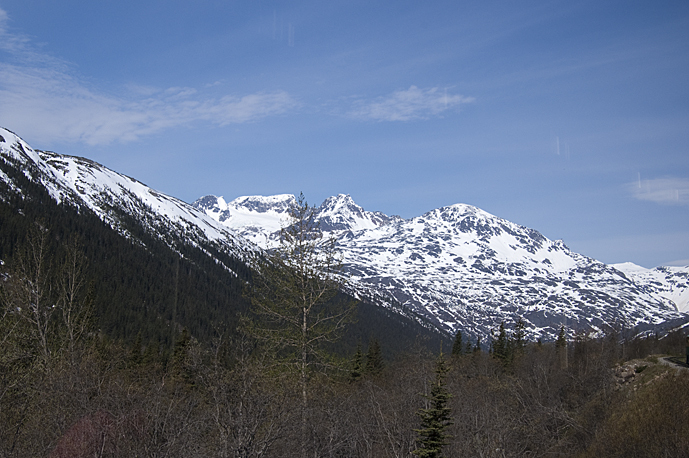 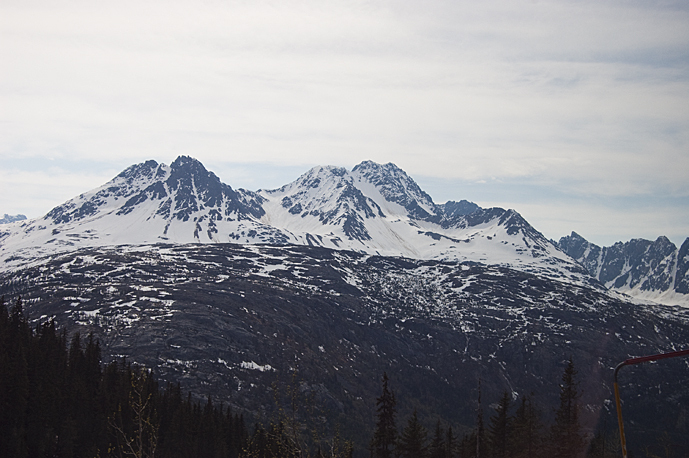 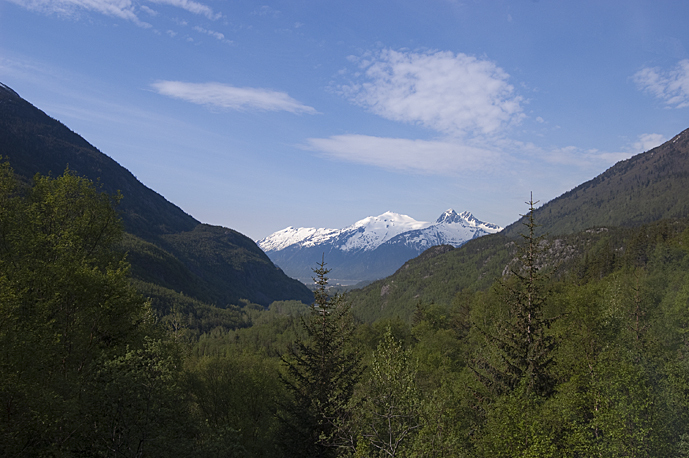 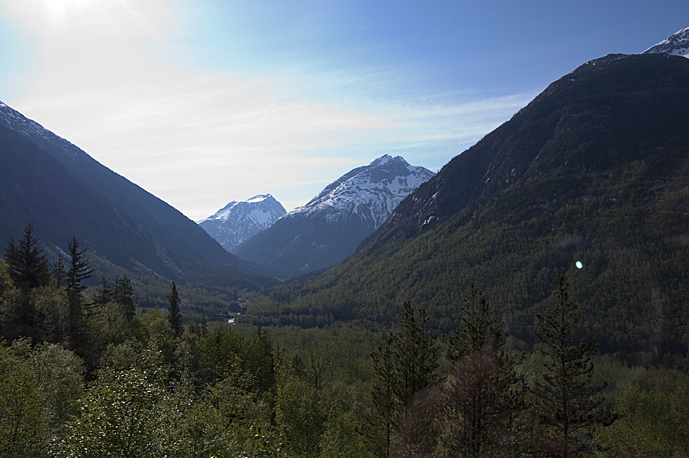 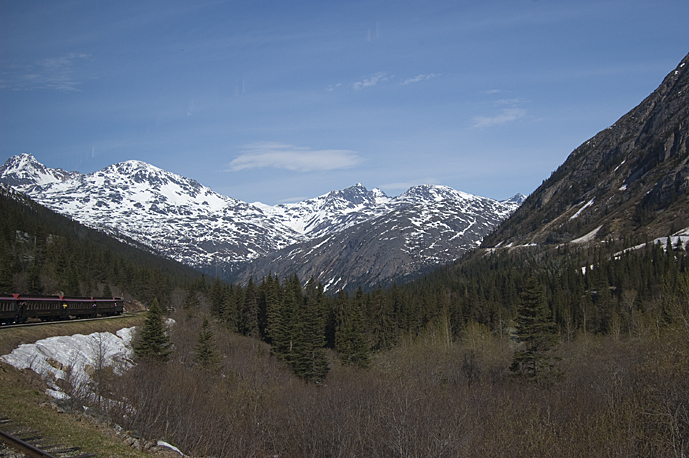 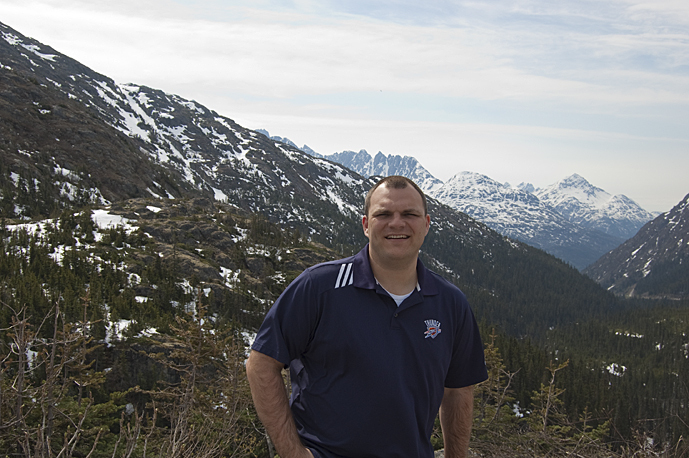 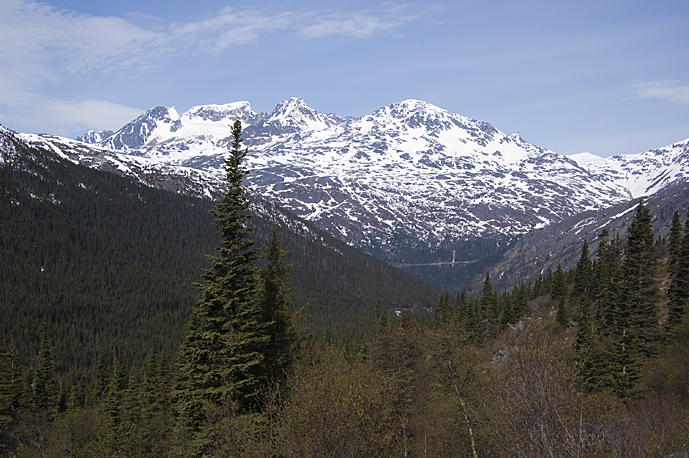 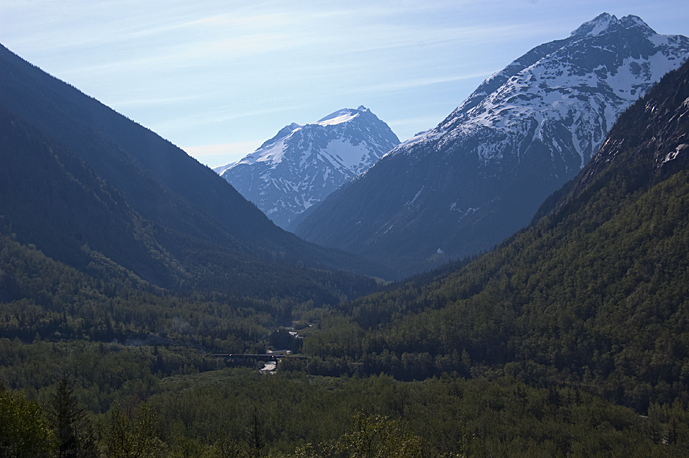 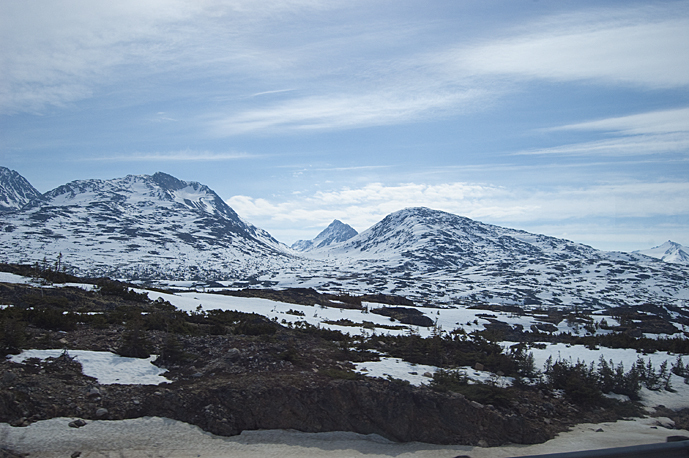 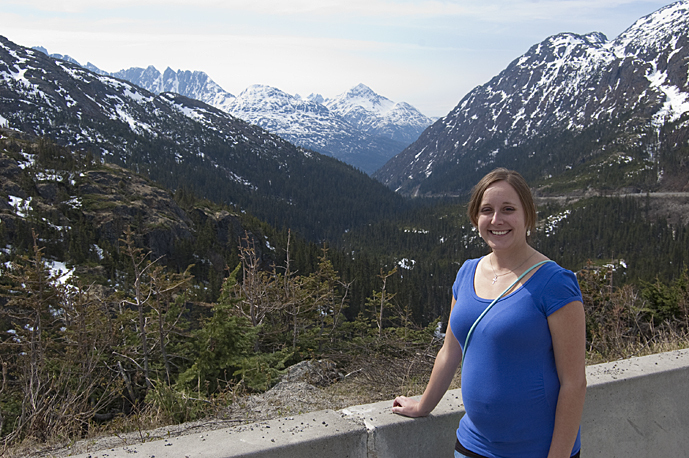 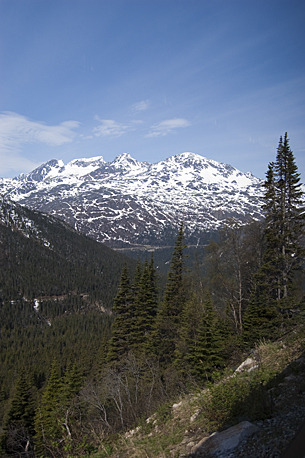 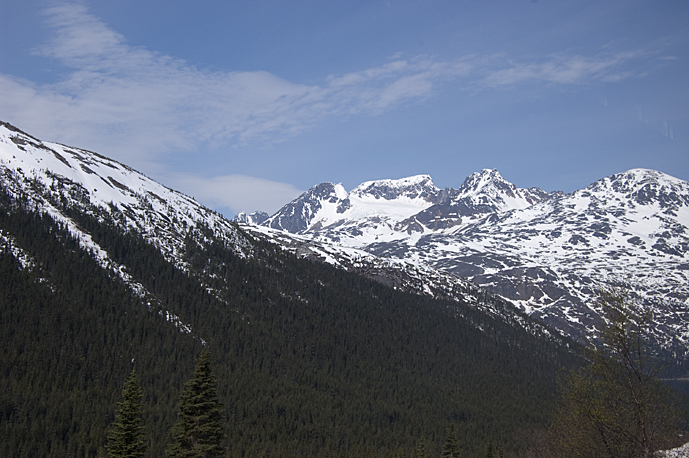 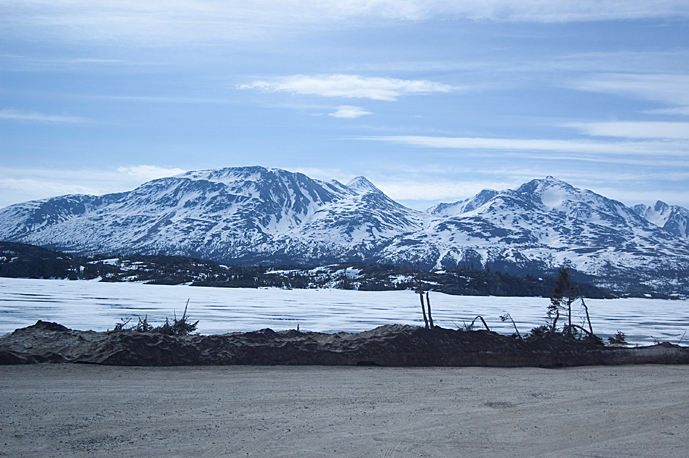 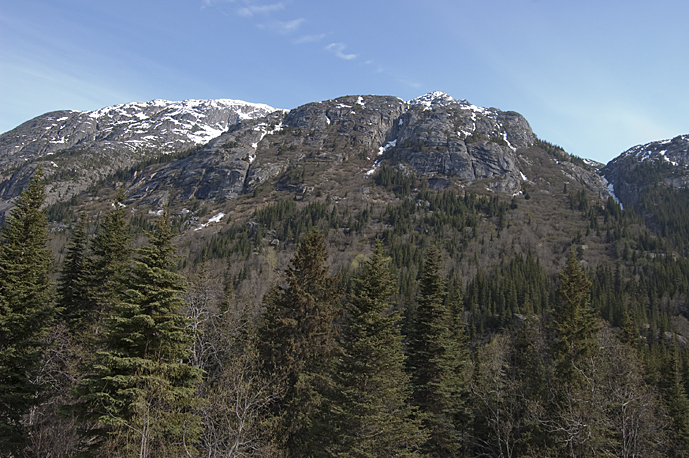 Then we took a bus back down the mountains back to Skagway. 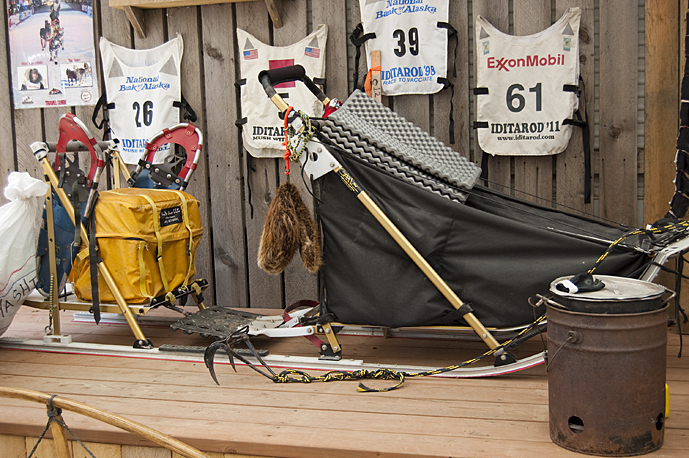 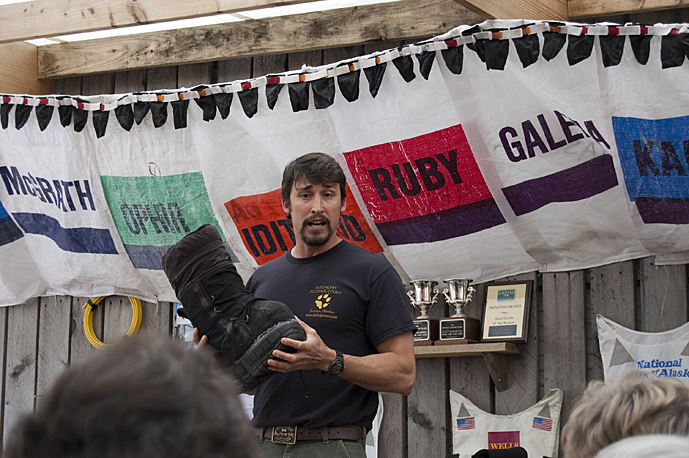 Our next stop was to learn about the Iditarod race from a man who has raced in the Iditarod several times. 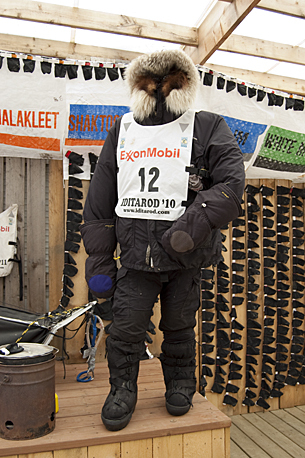 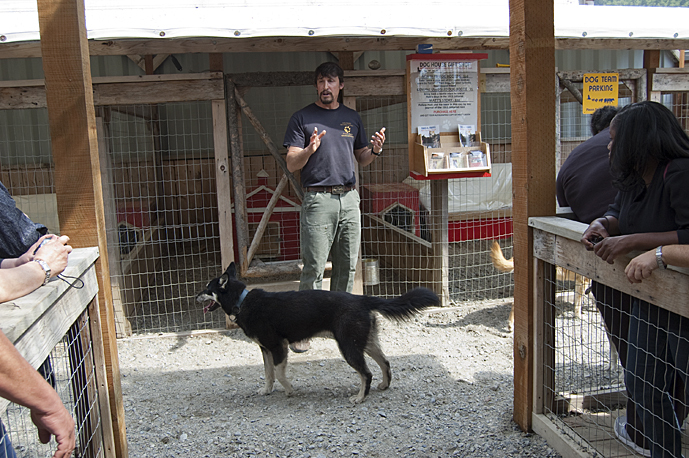 He told us about training the sled dogs and about the work they do in the race. 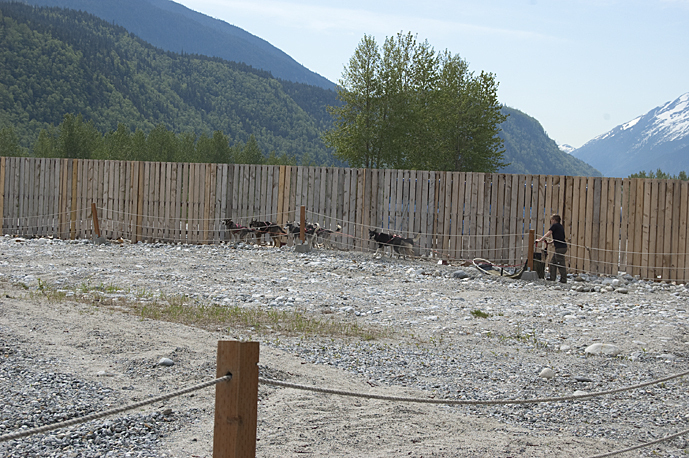 The dogs are taken great care of, getting massages and sleeping bags at all their stops. 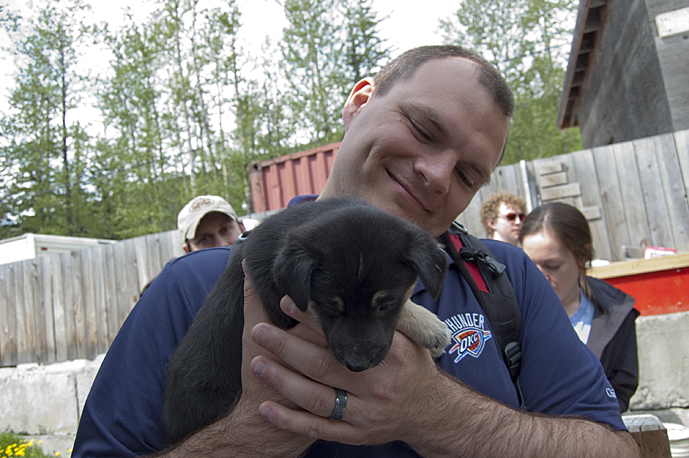 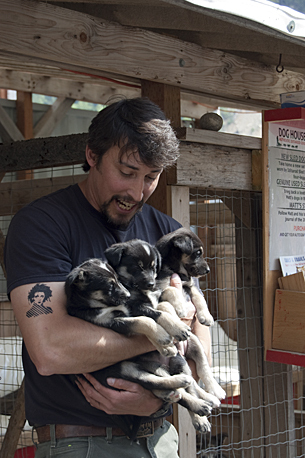 Then we got to meet some of the dogs and some puppies. 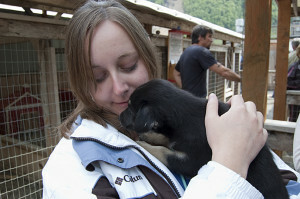 Puppy kisses are definitely worth the whole day. 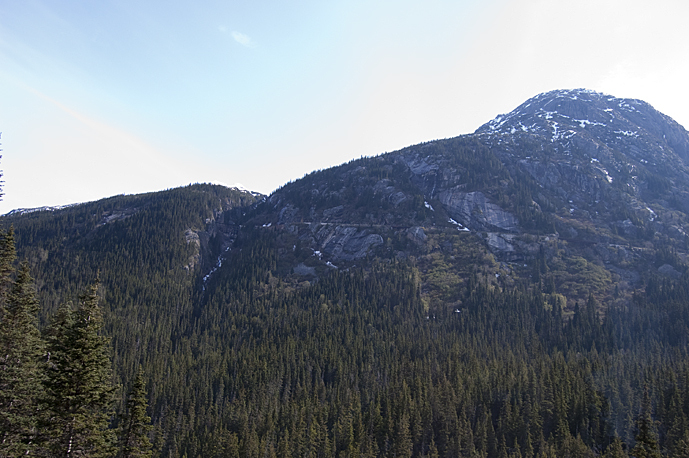 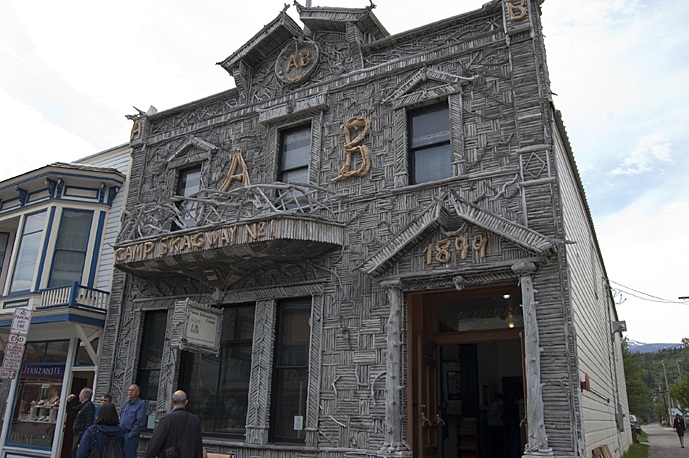 After that we walked through Skagway and headed back to the ship. 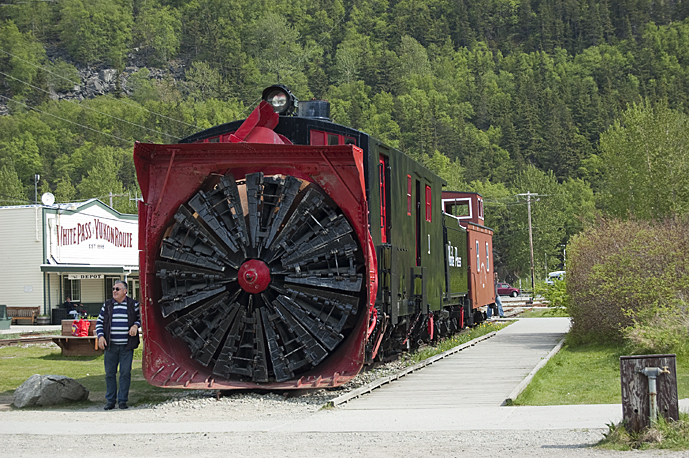 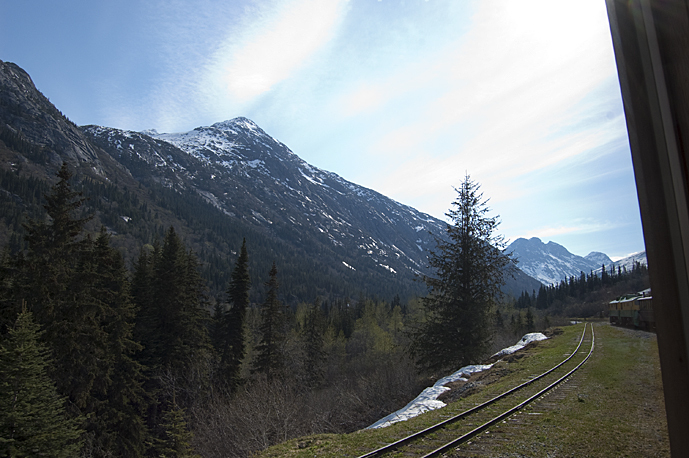 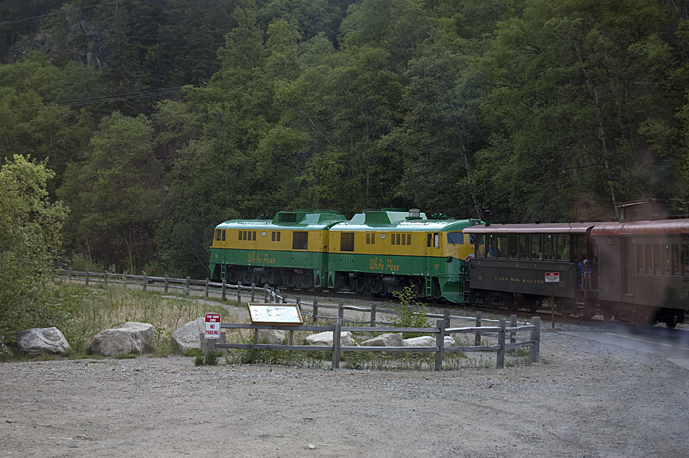 Definitely check out the railway if you are ever in Skagway. 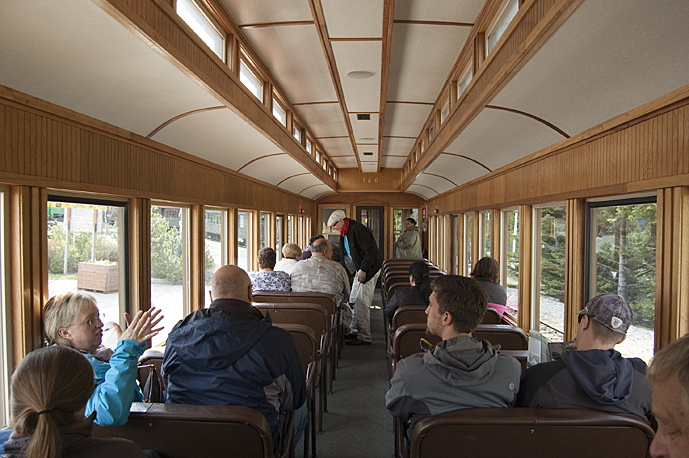 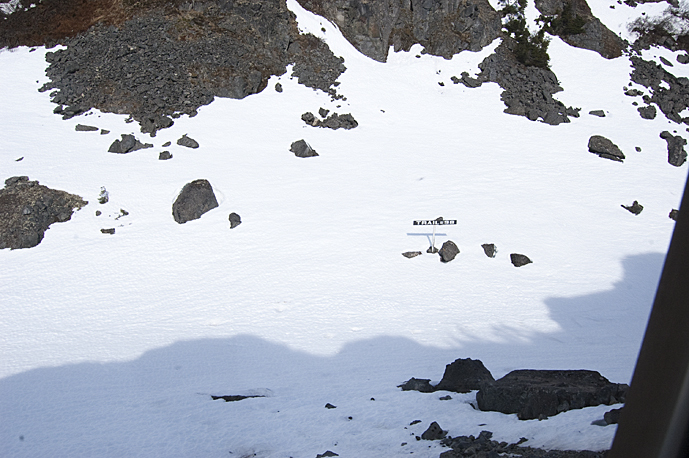 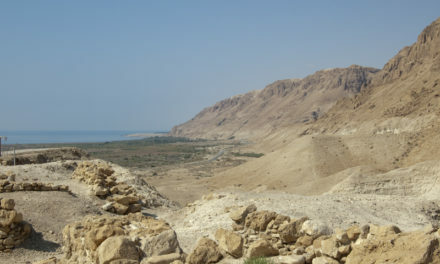 Make sure to sit on the left hand side of the train on the way up the mountains, or on the right if you are coming down – the other side doesn’t have nearly as good a view.